How do I use MCH for tree protection? 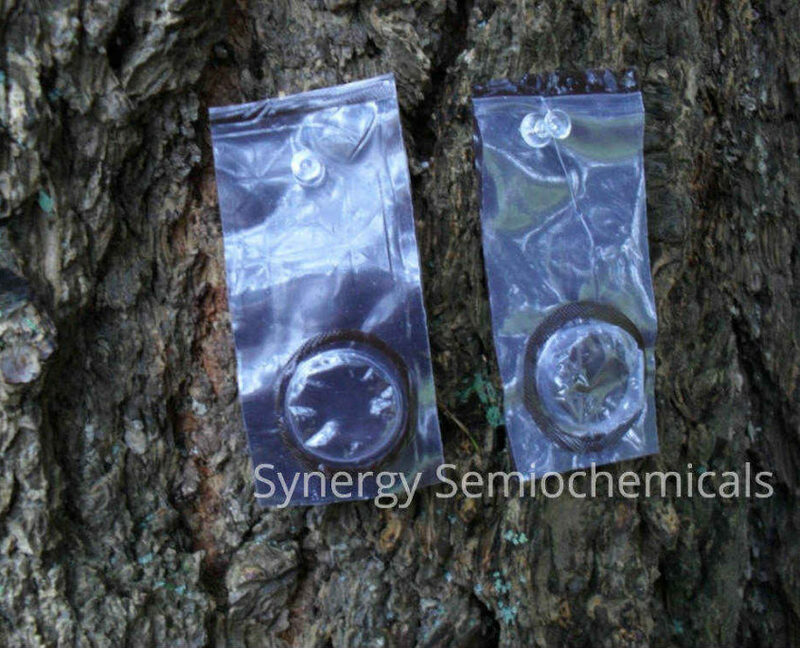 Synergy Semiochemicals has been providing high quality MCH bubble caps to our customers for over 10 years as part of an integrated pest management plan for land owners, foresters, researchers and government agencies throughout Canada and the United States. MCH is not a conventional pesticide and is not toxic to animals or the environment. Synergy Shield MCH bubble caps are registered with the Environmental Protection Agency (EPA) in the USA and with Pest Management Regulatory Agency (PMRA) in Canada. Synergy Shield MCH bubbles are sold in multiples of 10. Female Douglas-fir beetles initiate an attack in the spring when ambient air temperature exceeds approximately 18ºC (65ºF). They are about 4-7 mm (1/6 – 1/3″) long when they bore into the outer bark and through into the inner bark on the host tree. Once she creates a galley for her eggs, the female beetles release a powerful attractive pheromone that attracts both males and females to the tree. Once mated, female beetles produce less of the attractive pheromone and male Douglas-fir beetles start to produce an anti-aggregation pheromone called MCH. The growing plume of MCH from the males signals to other beetles around the area that the tree is full. The change in semiochemical signal from being attractive to repulsive is the natural mechanism beetles use to avoid overcrowding under the bark. In this way, MCH acts like a “no-vacancy” sign and the mass attack ceases. Eggs hatch in 2 weeks and the larvae bore away horizontally from the egg gallery. They feed in the inner bark for 2-3 months until winter and go through the pupal stage and become young adults. The adults do not emerge until the following spring. Generally the duration of the life cycle is one year. If conditions are favorable, some parent beetles emerge the same summer for a second flight and will attack again to establish a second brood. Prolonged temperatures of -40°C can kill over-wintering adults. Part of the destructiveness of Douglas fir beetles is the transmission of blue-stain fungi from the beetle to the tree. The spores of these fungi are brought into the tree by adult beetles during colonization. Fungi grow within the tree while the beetle larvae feed, which weakens and eventually kills the tree. This mutual network of beetle galleries and blue stain fungi disrupts the movement of food and water between the roots and needles and rapidly kills the tree. The fungi give a blue-grey appearance to the sapwood. MCH can be deployed on Douglas-fir and Spruce trees. It is suitable to use in stands containing significant numbers of trees whether standing, fallen or stumped. Unlike traditional pesticides, MCH is produced by the beetle and has very little impact on the environment and is safe to use almost anywhere. It is perfect for use in forests, parks, campgrounds, golf courses, recreational areas and properties, ornamental and shade trees in suburban areas, rights of way or other easements, and residential properties bordering wild areas. MCH should not be applied directly to streams, lakes, ponds or any body of water. MCH products have been commercially produced since 1992. Loaded into a small plastic membrane, commonly called ‘bubbles’, MCH diffuses through the plastic membrane and is released into the surrounding area much the same way as if they were released by male beetles. Arriving beetles are then tricked into moving on to find another location increasing their chance of being eaten by a predator or dying. Previously only available in a dosage of 400mg per bubble cap, Synergy now has a new 1000mg double bubble cap and a higher dose 500mg single bubble cap. We are the exclusive manufacturer of the double bubble which is the preferred choice of many foresters. Users can decide on single or double bubble cap or a combination of both. Based upon research of MCH release rates and distance between bubbles (see research papers below), users can deploy up to 50% fewer point sources using the double bubble because it has twice the release rate. For example, instead of 40 single bubbles spaced out over an acre, 20 double bubbles are the recommended dosage. Less bubbles to deploy can save application time and thus reduce costs. Our Synergy Shield MCH double bubble and the 500mg single bubble lasts at least two weeks longer than a standard 400mg competitor’s bubble because of the higher load of MCH. Longer release times provide an extended window for early deployment and for insurance in the event of an extended flight period. Darrell W. Ross, Gary E. Daterman, and Kenneth E. Gibson. Journal of Economic Entomology, 95(4):778-781. 2002. D. W. Ross and K. F. Wallin. Journal of Economic Entomology, 101(6):1826-1830. 2008. Tara M. Strand, Darrell W. Ross, Harold W. Thistle, Iral R. Ragenovich, Ivonne Matos Guerra, and Brian K. Lamb. Journal of Economic Entomology, 105(2):451-460. 2012. 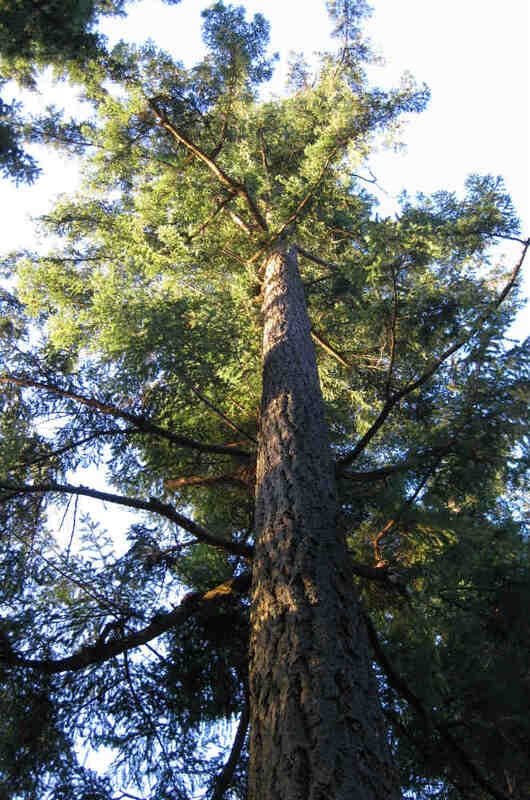 Synergy Shield MCH bubbles are most effective when they are applied two weeks before Douglas-fir beetles begin to fly and attack trees in the spring. This is usually in late April or early May in the Pacific Northwest and northern Rocky Mountains. Higher elevations may see a later beetle flight due to the ambient air temperature remaining colder longer. It is important to note that Douglas-fir beetles will not take flight until the air temperature is at least 65°F (18°C) for a number of days. If you are late deploying MCH bubbles, they will still be effective in reducing further attacks. The amount of MCH released is also temperature dependent; the warmer the air, the higher the release rate. Moreover, the wind speed and direction determines where the pheromone plume will go. Furthermore, insects can only ‘sense’ these chemicals from a downwind position. Use the wind factor to your advantage, if possible. We recommend you staple your Synergy Shield MCH bubble to the north side of the tree, as high as you can reach using a stapler or small hammer such as a hundle hammer. It does not matter if the bubble part is facing against the tree or not. There is evidence that beetles prefer the north side of a tree as they are not in direct hot sunlight and are shaded from predators. The USDA has put out a guide for use of MCH. You can download it here: Using MCH to protect trees and stands. Rule of thumb: Place Synergy MCH Singles 20-25 feet apart, and Synergy Shield Doubles 40-50 feet apart. If you plan on using MCH from one year to the next in the same location, clip a corner so you can tell which ones are from last year. Keep unused MCH bubbles in an airtight container (glass canning jars or a metal paint can with tight lid are perfect), in the freezer for use next year. 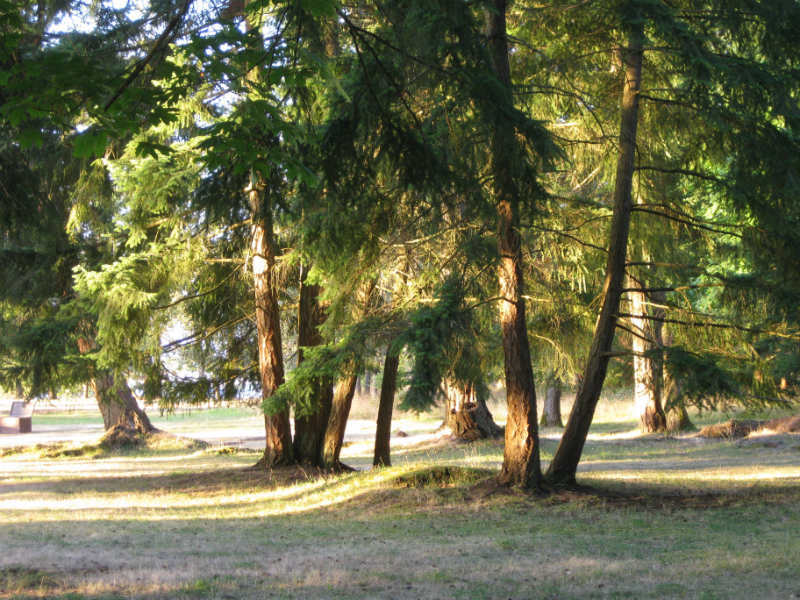 For best results it is critical to remove infested trees off site well before beetle-flight. If possible keep your trees well watered. DO NOT PUNCTURE RESERVOIR!! Doing so will release the MCH immediately. The plastic membrane is a special plastic that allows the MCH to release into the area slowly. Place 2 to 4 Synergy Shield MCH on each tree, depending on risk of attack and size of tree. For large trees over 24 inches diameter, add 1 more Synergy Shield MCH for each additional 8 inches in diameter, 3 feet above the previous Synergy Shield MCH. Place 40 Synergy Shield MCH/acre. For low to moderate beetle pressure, place 1 Synergy Shield MCH/tree in a grid pattern with 32 foot centers*. You do not need to place a bubble directly on the tree. You can apply it to any other tree, building or even a post hammered into the ground. For high beetle pressure, place 1 Synergy Shield MCH/tree in a grid pattern with 23 foot centers*. Maximum dose – 80 Synergy Shield MCH/acre. *”Centers” means from the center of one tree to the center of the next. Place 1 or 2 Synergy Shield MCH on each tree, depending on risk of attack and size of tree. Place 20 Synergy Shield MCH/acre. For low to moderate beetle pressure, place 1 Synergy Shield MCH/tree in a grid pattern with 46 foot centers*. For high beetle pressure, place 1 Synergy Shield MCH/tree in a grid pattern with 32 foot centers*. Maximum dose – 40 Synergy Shield MCH/acre.